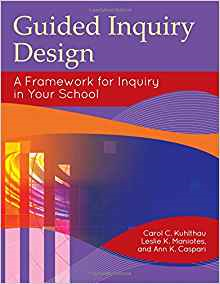 While authoring my forthcoming book Maximizing School Librarian Leadership: Building Connections for Learning and Advocacy, I have read many professional books. This is the eleventh and twelfth in a series of professional book reviews–possible titles for your professional reading. The reviews are in no particular order. School librarians who build connections transform schools. Instructional partners (school librarians and classroom teachers) practice reciprocal mentorship when they connect inquiry and reading-writing across the disciplines with deeper and digital future-ready learning. 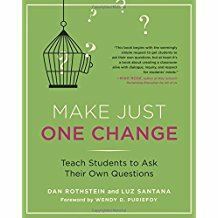 Many (if not most) school librarians and their advocates will need to influence the behaviors of others in order to enact these three messages (transforming through connecting, practicing reciprocal mentorship, and coteaching future-ready learning). Those “others” could be administrators, other educators, school board members and other educational decision-makers, families, and more. For this reason, Robert Cialdini’s books are invaluable to effective future-ready school librarians. I first learned about Cialdini’s work in 2015 when I participated in the Canadian Library Association and the University of Toronto iSchool’s MOOC (Massively Open Online Course) entitled “Library Advocacy Unshushed: Values, Evidence, Action.” Throughout the six-week course, the presenters and guest speakers made multiple references to Cialdini’s book Influence: Science and Practice. While writing my forthcoming book, I reread it. 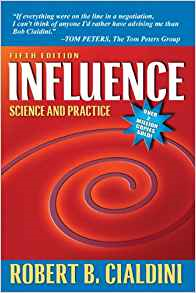 Cialdini, a social psychologist, suggests six “universal principles of influence.” Schools librarians can use these principles to achieve their goals. 1. Reciprocity – People tend to return a favor. 2. Consistency – If people commit to an idea or goal, they are more likely to follow through. 3. Consensus – People will do what other people are doing. 4. Liking – People are easily persuaded by other people whom they like. 5. Authority – People will tend to obey authority figures and experts. 6. Scarcity – Perceived scarcity fuels demand (2009). School librarian leaders can apply these principles to enlist advocates within and beyond the school or library. Advocates can apply these principles as they speak up and out for future-ready school or library program initiatives. 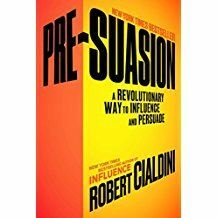 Cialdini’s most recent book Pre-Suasion: A Revolutionary Way to Influence and Persuade (2016) focuses on what to do BEFORE you pitch your project plan or change initiative. I found the research and examples in this book fascinating. Readers could think of Cialdini’s overarching concept as “foaming the runway.” He writes, “What we present first changes the way people experience what we present to them next” (2016, 4). Before pitching a new idea, plan, or program, do your homework. Carefully select your “openers.” Be sure you know what is important to your audience. Build on connections and personalize your appeal. Tell a story, preferably a mystery that will keep them on the edge of their seats. Use metaphors. Make your appeal easily understood. The “privileged moment” was my big take-away from this book. It is the time when the presenter has prepared the listener to receive a new idea. This snippet of an example, which I have adapted for a school environment, is one that is easy to remembered. Cialdini’s ideas help readers make the most of the “privileged moment.” That moment is when the influencer creates a context in which the listener is receptive to hearing the message and acting upon it. I recommend both of these books for those who are preparing to launch advocacy campaigns and are leading change in their schools, districts, states, or nation. Cialdini, Robert B. Influence: The Psychology of Persuasion. 5th ed. Boston: Pearson, 2009. Cialdini, Robert. Pre-Suasion: A Revolutionary Way to Influence and Persuade. New York: Simon & Schuster, 2016.